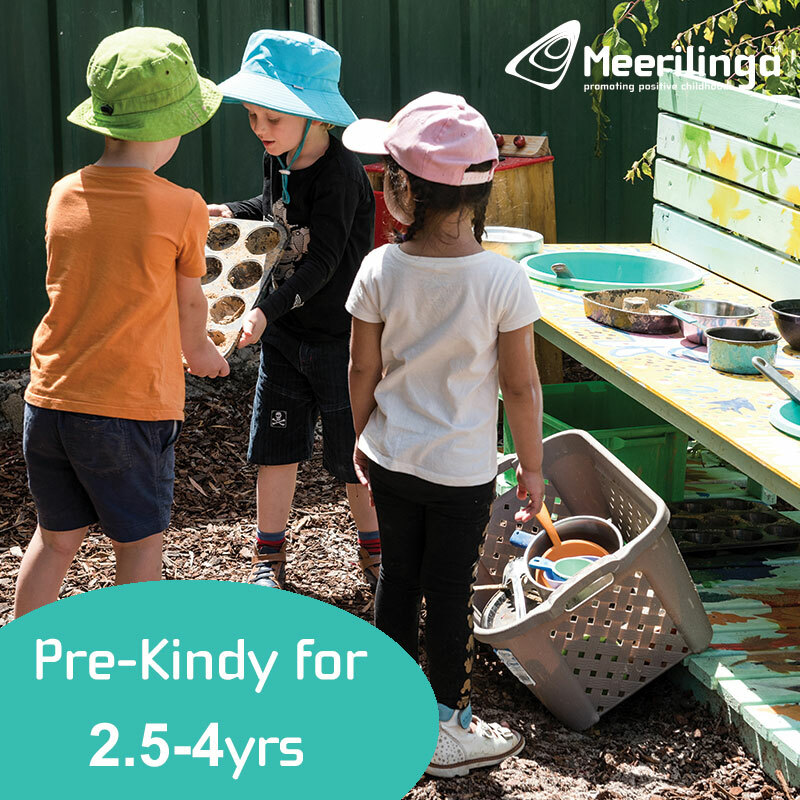 A visit to your local Bunnings is one of Perth's best value places for a coffee, muffin, baby cino and play combination, perfect for a rainy day or when it's too hot outside. 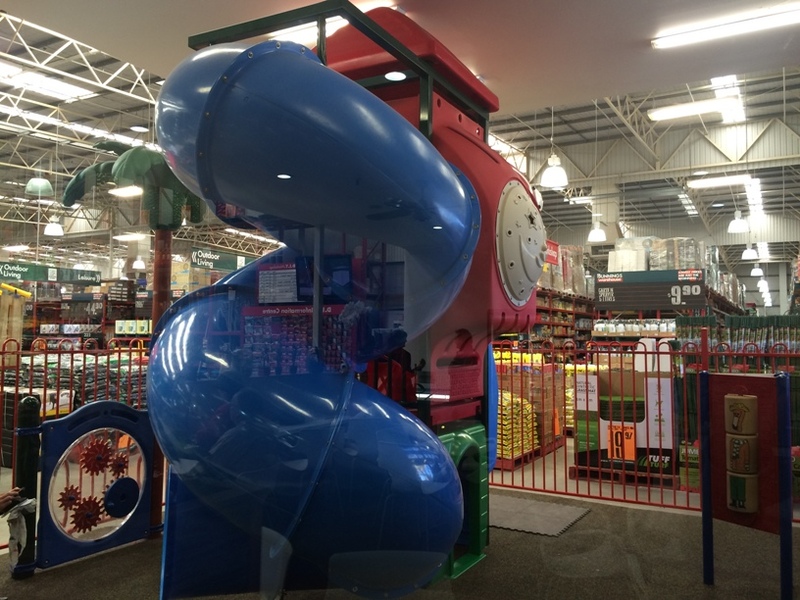 On this occasion we visited Bunnings Balcatta, but all the other Bunnings we have visited also have a cafe and kids play area. 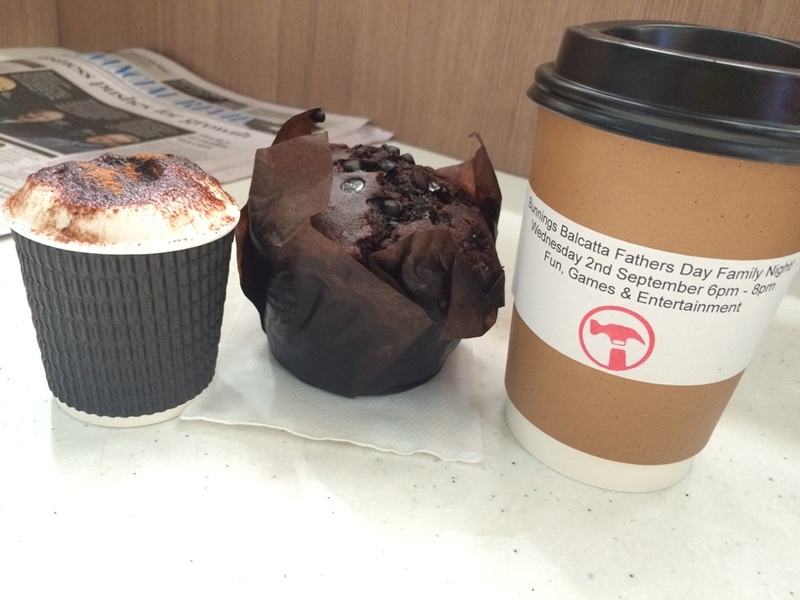 For just $6.50 we got a coffee, muffin and a baby cino (the baby cino was free with any coffee purchase). 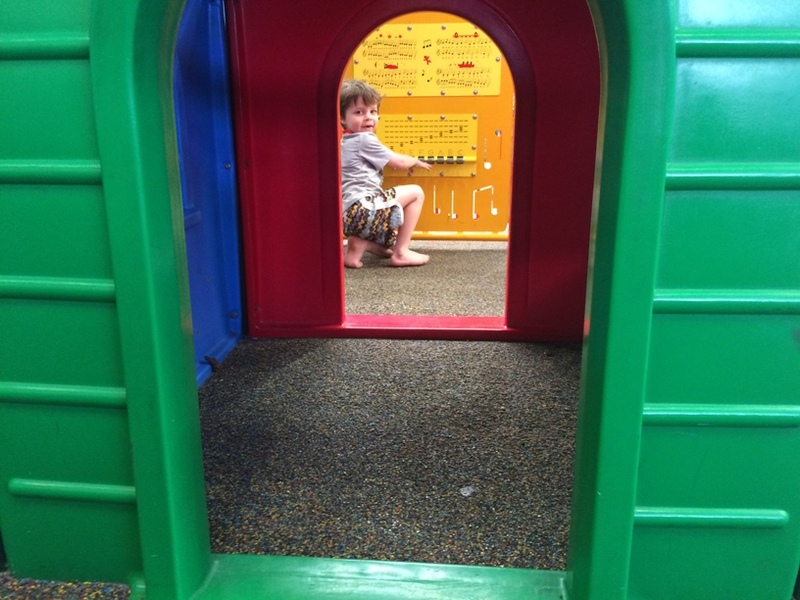 Of course there is the fabulous fenced play area right alongside the cafe too. 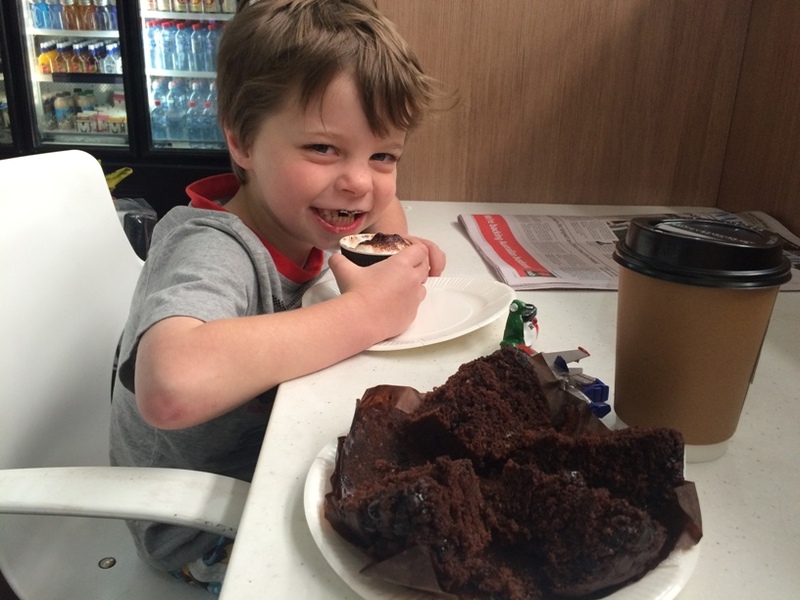 Bunnings Balcatta also had free WiFi in the cafe and the daily paper to enjoy. 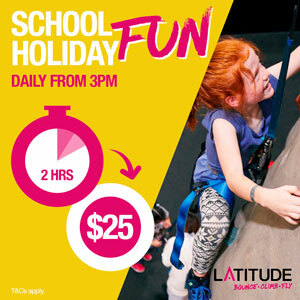 Bunnings regularly run free DIY workshops for both adults and kids, so why not time your play by the cafe, so you can enjoy a DIY workshop while you are there. Bookings are usually required. 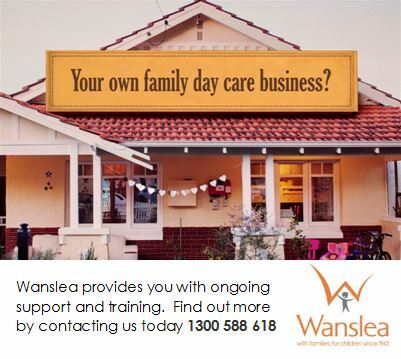 You can do this by going to www.bunnings.com.au and selecting your local store to find out what's on and book online.